Over the last year, the company – which is celebrating ten years at its head office at the University of Warwick Science Park’s Warwick Innovation Centre – has seen profits rise by 40 per cent. The firm, which also has a second office in Chelmsford in Essex, has also expanded its team. To help further accelerate growth, the company has promoted Darren Barrick to the board as technical director while Will Brooks has been appointed as commercial director. Zenzero was set up by Anne and Andy Tasker in 2003 and has since grown to offer a range of IT services including unlimited telephone, email and onsite support along with remote management and back-up and recovery services. Anne, who is managing director at the firm, said the company’s base on Gallows Hill has provided the perfect environment to continue to develop and expand the business. She said: “We are currently experiencing a real upturn in business after securing a number of new clients within the corporate and education sector. This includes recent work with McKesson and Warwick School both of which are based within a stone’s throw of the Innovation Centre. “Over recent months we have seen a resurgence in the number of firms looking to refresh their IT infrastructure and our new appointments will enable us to meet this growing demand as well as facilitating our growth plans over the next three years. We initially set up the company at the University of Warwick Science Park as its central location allowed us to meet the growing demand for IT infrastructure and services across the Midlands. “The base is well connected to WarwickNet which provides a high-speed broadband service at the Science Park and we have also been able to take advantage of the business support packages available at the site including benefits such as conference room hire. We have continued to build-up a strong portfolio of clients some of which are also located at Warwick Innovation Centre and both our head office and satellite office which is located in the South East are continuing to do well. 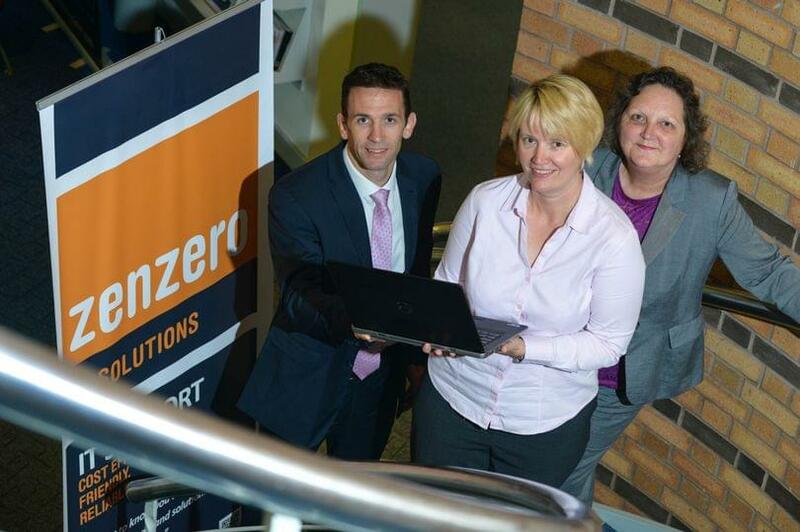 Karen Aston, centre manager, said: “Zenzero is currently celebrating its 10th year at the Science Park and it is fantastic to see that the company is continuing to do well and grow across the sector.